People have ascribed sexual powers to certain foods for centuries, but there’s absolutely no scientific evidence any of them will actually give you anything beyond calories and vitamins. But what the hell? Every so often, I’ll try some out and let you know what they’re like. As you read, imagine that I take a bite and wait for the waves of desire to wash over me. That ‘extra scoop’ of guacamole at Chipotle is supposed to be getting you hot for more than just a burrito. At least, that’s what the Aztecs believed. The oval shape and nubbly skin of the fruit reminded them of testicles, and they thought its flesh could incite desire. Taste test: I dug into one half of a perfectly ripe Hass avocado with a spoon. No dressing it up with lemon, sugar, or sour cream: I just ate that fatty, calorie-rich fruit straight. The flesh is slightly sweet, with some grassy bitter overtones, but it’s mostly a bonanza of creamy mouthfeel, like eating a stick of butter but with less guilt. Effect on libido? None. 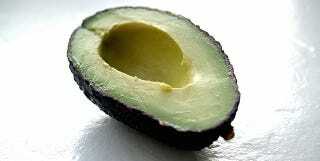 Like so many other aphrodisiacs, the avocado’s power probably comes from suggestion, not chemistry. Calling uni “sea urchin roe” on the menu is something of a misnomer–what you get at the sushi counter is a sea urchin gonad, whole, on a bed of rice. Hundreds of tiny lobes split by a seam down its center makes it look a bit like a tongue. A tongue you’re about to bite. Its Japanese reputation for sexual stimulation is probably pure sympathetic magic: eat a sea creature’s testicle/ovary–transfer its massive power for spawning to your own body. Some species are slightly poisonous. Perhaps that enhances the psychological effect. Taste test: There’s a slight snap when you bite it, before it dissolves into a creamy, unctous slick over your tongue. It’s salty, with a slightly bitter aftertaste. Delicious? I’ll call this one an acquired taste. It was interesting, and it wasn’t bad, but I’m not going to be asking for it regularly when we go out for sushi. The Aztecs certainly thought chocolate was sacred, but there’s little evidence that they thought it had sexual powers. The explorers who first brought the food to Europe were another story altogether. Chocolate was a love potion and a promoter of lust, and that reputation stuck around for more than a century. More modern attempts to rationalize chocolate’s reputation as a love aid point to the phenylethylamine and serotonin it contains. But although these are both chemicals released by the brain during infatuation, their concentrations in chocolate are much too low to have a physiological effect. Taste test: 0.25 oz ground cacao nibs from Hawaii. Crunchy. Fruit overtones, but super-bitter. Delicious? No. There’s definitely a reason we add sugar to raw chocolate. Effect on libido? None. But I might feel very differently if my husband came home with a stack of high-quality chocolate bars just for me.